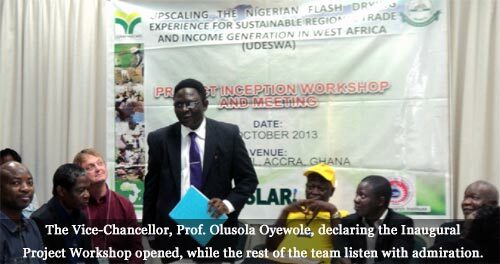 The World Bank-sponsored project, under the auspices of the West and Central African Council for Agricultural Research and Development (CORAF/WECARD), in conjunction with the Federal University of Agriculture, Abeokuta, recently held its maiden Project Workshop, in Accra, Ghana. It which was aimed at promoting efficient and proven drying technologies for sustainable food security and poverty alleviation in West Africa. 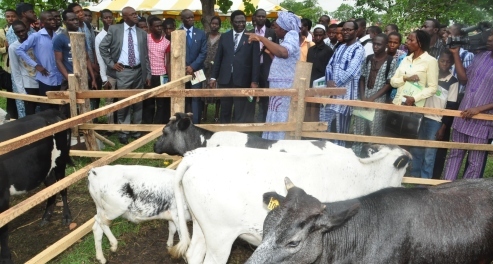 According to the Regional Coordinator of the Project, Upscaling the Nigerian Flash Drying for Sustainable Regional Trade and Income Generation in West Africa (UDESWA), Dr Abdul-Rasak Adebowale, the project would pay particular attention to issues bordering on livelihood change, with special focus on opportunities and constraints to its adoption, as well as gender matters and poverty elimination. Others are environmental impacts, market development and sustainability of the drying systems within the project communities, as well as the scaling-up of such systems beyond their catchment areas.